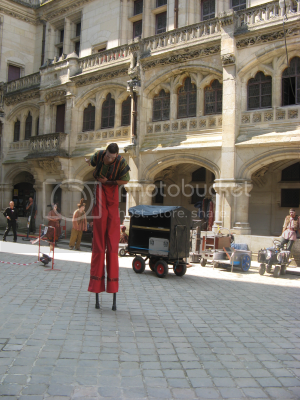 A bright sunny and quite warm day in Camelot Pierrefonds! 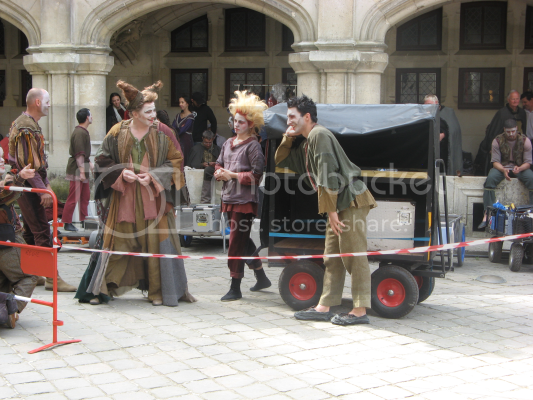 Unfortunately, they were filming inside the whole day, but we still had a lot of fun, especially with one certain courtier and a bunch of jugglers. 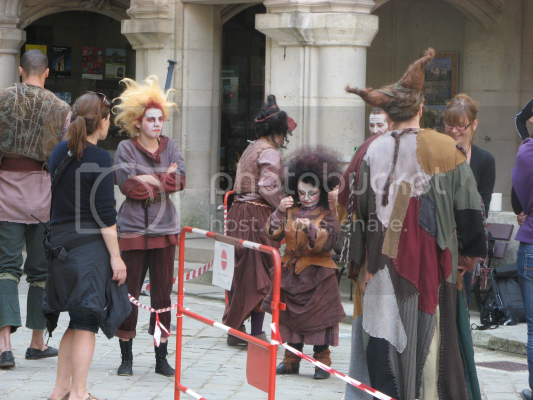 When they started filming Marie came up to us and asked not to ask for autographs or pics with the actors (fair enough! :o)), and as kind of a reward we should leave our address with her and they're gonna send us some Merlin goddies instead. I think that's really nice and - afaik - a first. 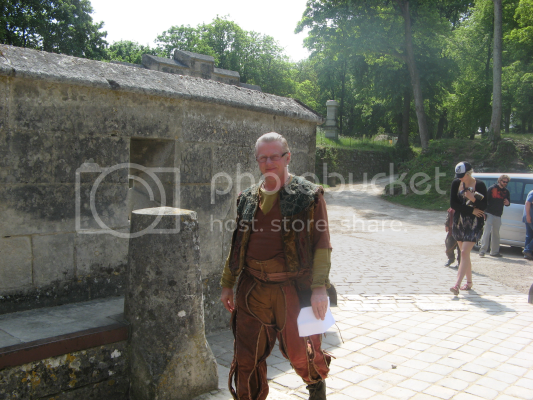 The courtier I mentioned above was a really funny guy, he was always coming up to us and wanted to take pictures! I think he wanted a bit of fame, too. ;o) But he was lovely, chatted a lot with us and took pics with everyone who was willing to take pics with him...bit odd, but nice. But they were really good. 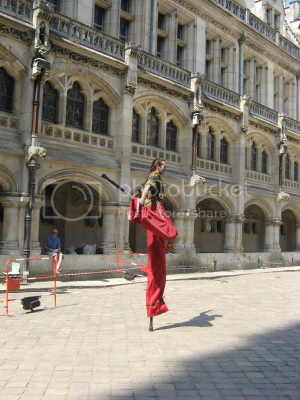 There were jongleurs, fire-eaters, and one was walking on very high stilts. 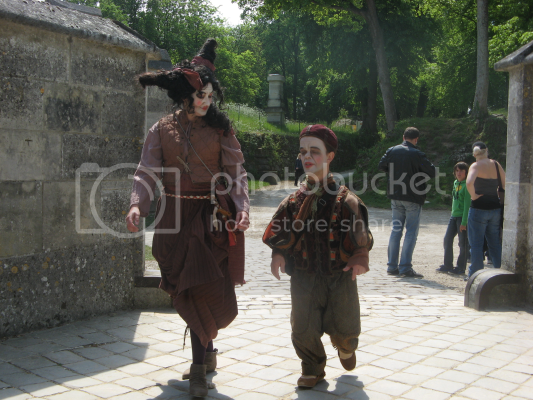 They had dwarfs as well, and there were all dressed up quite bizarre with a lot of make-up on their faces. And like I said earlier, there was a guest actor who you might know when you’re watching Doctor Who and/or Sherlock (at least that’s where he recently appeared, I recognised him at once *grins proudly*). It’s Phil Davis. 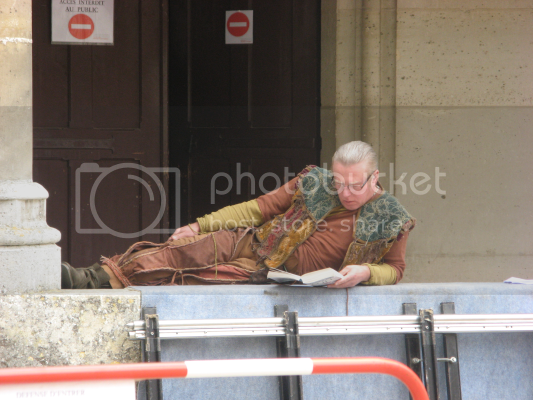 Not sure what kind of character he’ll be playing, I mean obviously he belongs to the group of jugglers, but we don’t know whether he’ll be a good or a bad guy, only that he spent quite some time filming with Bradlay and one of the dwarfs alone inside. 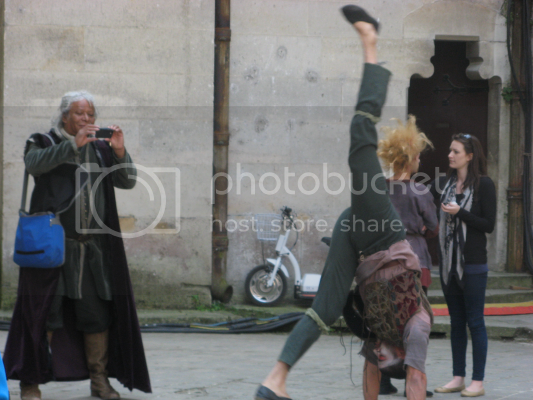 Feel free to grab the pics, but please credit me and no hotlinking. Thanks!